An innovative, double sided concealer, with a creamy, full coverage matte stick on one end and a lightweight, illuminating liquid on the other. The matte stick masks imperfections such as discoloration, blemishes, dark circles, age spots and redness. 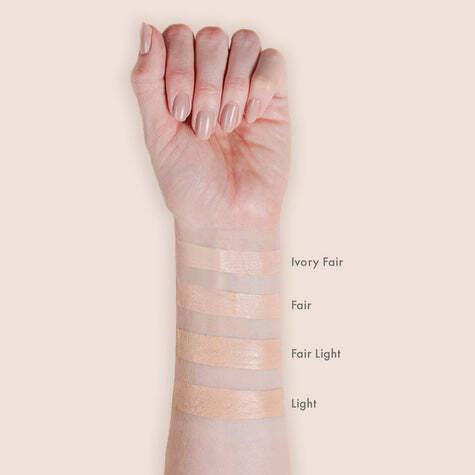 The moisturizing sheer, illuminating concealer can be used to reawaken a dull complexion and brighten the under eyes or cheekbones, diffuse fine lines with a soft and flattering glow. This multitasking, globally-inspired, crease-proof formula provides long-lasting, fool-proof coverage that blends effortlessly without feeling heavy. It helps you achieve the right coverage and color correction for great looking skin. When developing Dualist, we asked ourselves two questions. 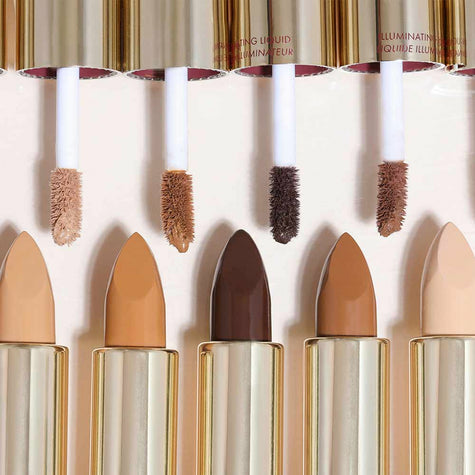 How can we make concealer innovative and how can we make it multitasking? Afterall, we're all about streamlining your beauty routine. The result became skincare enriched formulas with full and sheer coverage. This way, you only need one concealer for everyday and special ocassions. It was crucial that we got each shade right. This meant endless swatching on every skin tone imaginable! Our goal was to make sure the shade progression was correct and that each one was as accurate as possible. Next, we wanted to make sure our concealer worked seamlessly with the Flash Focus Hydrating Foundation and Wanderlust Powder Foundation. We had everyone on our team swatch all 3 products. There was a lot of blending, swatching, and makeup wipes involved! A lot of time and testing was put into making sure our stick and liquid formulas worked with different skin types. We tested on dry, sensitive, normal, oily, and acne prone skin to make sure it worked for everyone. The end result was a stick concealer that glides like a dream but 0 tug! We also wanted to make sure our liquid was illuminating and went back and forth with our lab until we got the perfect amount of illuminating pigments. The component itself was also crucial. We wanted the art to be simple, chic, but also legible. We were finalizing the component copy below. We had to make sure the text was in the right spot and also big enough to read, but not too big that it might interfere with the design. We're big on skincare infused into makeup at Wander Beauty. That's why we picked the best skin-loving ingredients to put into our concealer. After months of meetings, testing, and debating, we finally got exactly what we wanted and Dualist was born! Five shades with neutral undertones making them as universal as possible.